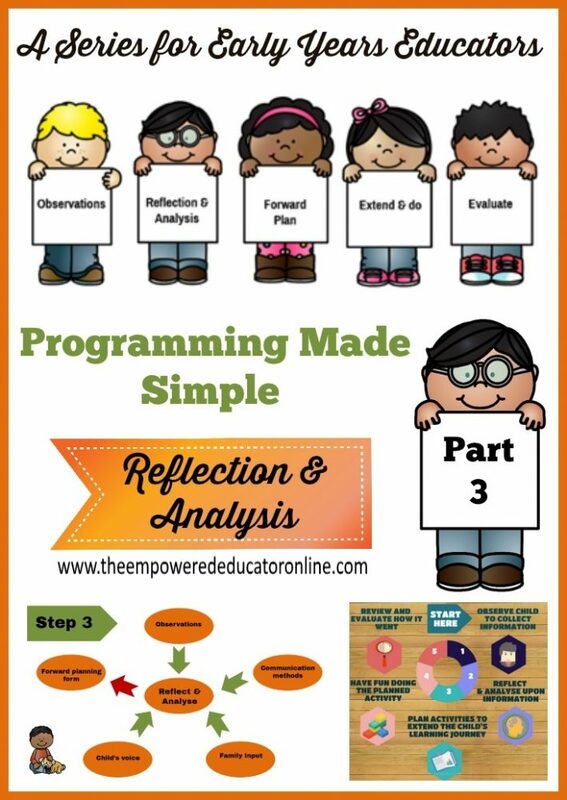 Educator Programming Made Simple - How to use reflection effectively. 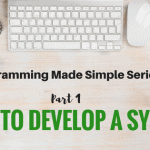 Welcome to Part 3 in my programming made simple series for educators and early childhood teachers! You can catch up by reading Part 1 HERE and Part 2 HERE. 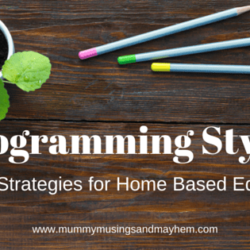 Programming and planning in the early years profession is stressing a lot of educators out at the moment and that is unfortunate because it really doesn’t have to be so difficult – and I aim to show you why in the posts in this programming series for educators. 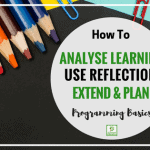 In this post I am going to be exploring the use of Reflection and Analysis in programming and how completing this step of the planning cycle effectively and efficiently can actually save you time and ensure your programming and planning is meaningful and not a waste of your time. It also helps to ensure the best possible outcomes for children. If you would like to download a print friendly PDF factsheet of the information in this article to look back on later you can do so by clicking below. Reflecting and analysing our practice and program does not need to be difficult or time consuming. It isn’t something to be feared. 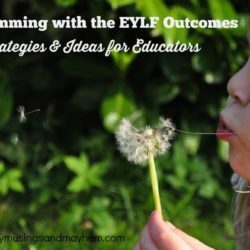 To put it very simply, engaging in reflective practice in the early childhood profession is just a system of regularly asking questions of yourself and your actions to better understand why things happened in a certain way and how you might then use that information to inform your future actions, planning and practice. Although not something to be overwhelmed with, it should challenge you to a certain degree and perhaps help you to initiate changes to your current practice if required – change the things that aren’t working and further extend upon the things that are. So when do we need to use reflective practice in our programming? A quick reminder of the planning cycle might help you to visualise the when– reflection and analysis occurs most importantly in Step 2. However, reflection should aim to inform good quality practice across many steps of our own personal documentation cycle/system including planned extension activities and your overall weekly/monthly program and service. Let’s explore them in more detail and break it down into sections…. When do we Analyse & Reflect in the Planning Cycle? We should see reflection as an ongoing process and part of our everyday work because we not only want to be able to recognise and confirm what is going well but also improve or challenge actions or methods that might require change. It is essential that we continue to talk and listen to other professional colleagues, children and their parents or carers and engage in discussion and ongoing analysis. 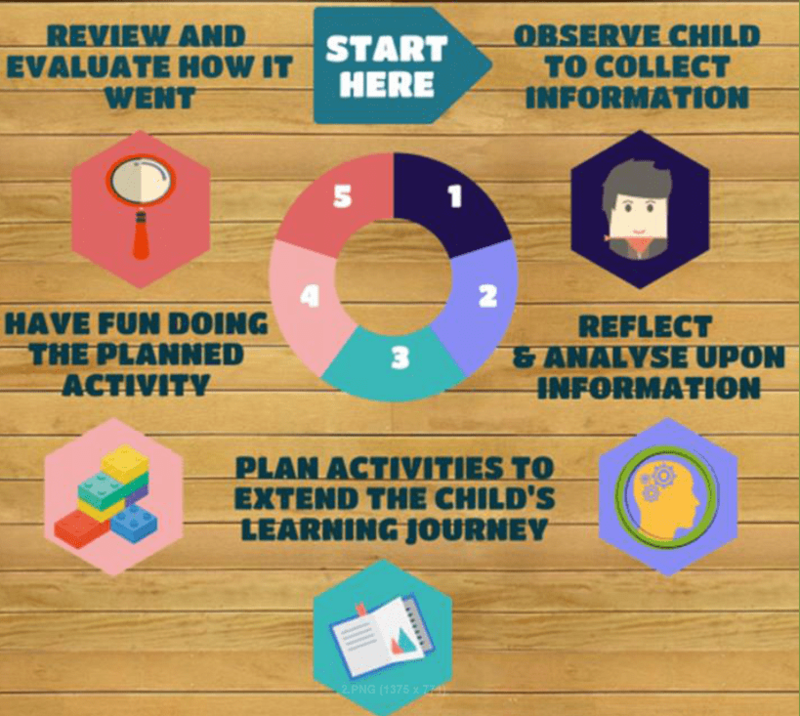 However, when we focus in on our programming, planning and documentation and meeting the requirements of the planning cycle we are talking about reflection and analysis in regard to developing and extending a child’s individual learning journey. We want to ensure the observations, extensions and forward planning we do always have this end goal in mind and are above all meaningful. So when we look at reflection within the planning cycle there is a focus on 3 main steps. 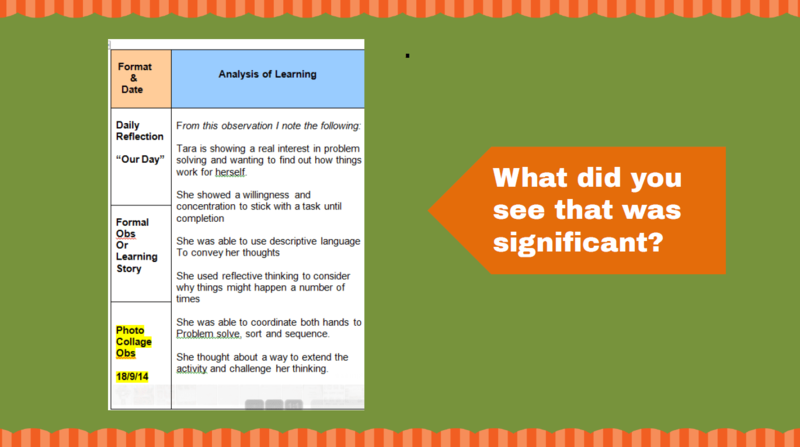 Reflection and analysis of the individual or group observations you have taken. Reflections upon a planned individual or group extension activity. Reflections upon your completed daily/weekly/fortnightly/monthly program. What tools should inform our analysis & reflection in programming? There are many tools/systems or processes that can inform our process of reflection. It will depend on what step of the cycle you are in and your own personal programming system or style but it needn’t be a complicated process. In my online training I discuss the tools that help me to collect information to begin my programming reflection process. You can see an example of one of the slides and diagram below. It might look very different for you – that’s the wonderful thing about programming – you can tailor it to your own skill strengths and the system that works best for you. I like to use as few forms as possible so most of the forms that I use perform double duty! 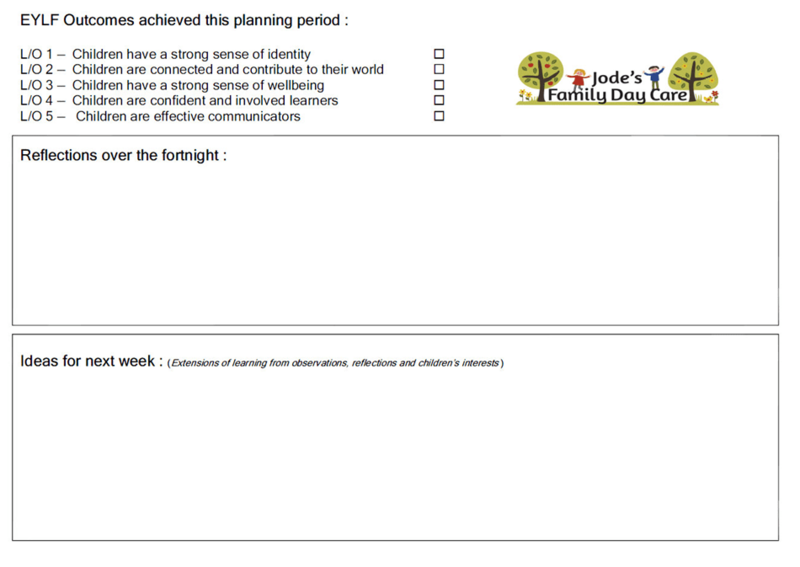 Although I have formal observation records I also use my parent communication forms and family input records and conversations as a way to record observations. I also include the child’s voice on all of these documents in various ways so that helps to inform my practice and forward planning as well. You might remember that in the first two posts in these series I talked about how to make your system more efficient and not trying to use a million different templates to achieve the same outcomes! So how do we reflect upon an observation effectively and most importantly meaningfully without it taking a whole lot of valuable time that we don’t have? 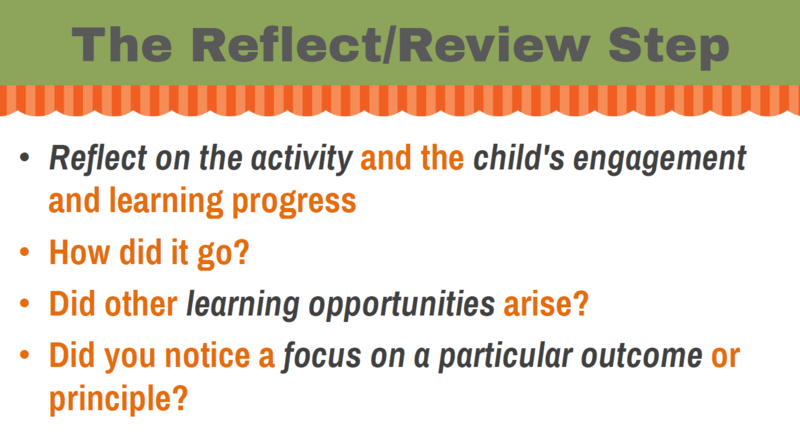 Consider the following when you prepare to reflect upon an observation you have taken and are deciding whether it is meaningful and relevant to the child’s ongoing learning journey. 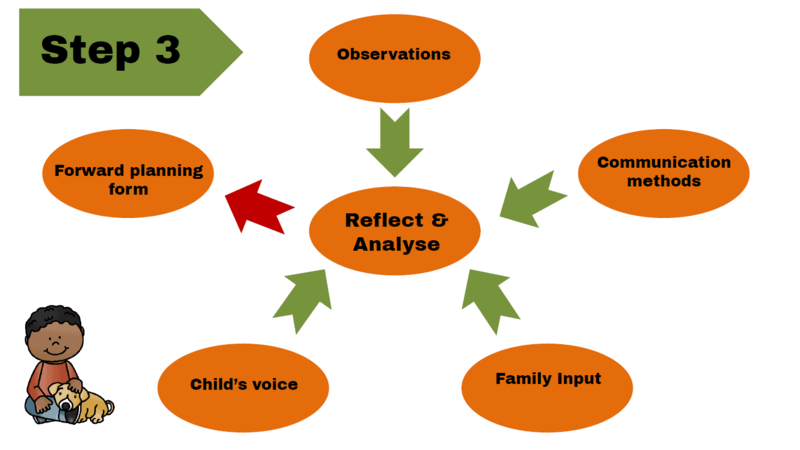 Interpreting, analysing and reflecting upon a child observation is an important step and must serve a purpose rather than just identifying what you saw. 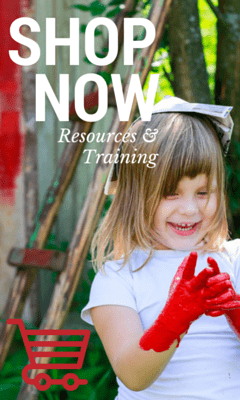 It is not just about writing a summary of the child’s development – you are aiming to interpret developmental skills, potential and emerging interests. THIS is how you will then be able to plan your future appropriate extension activities, experiences and environments. 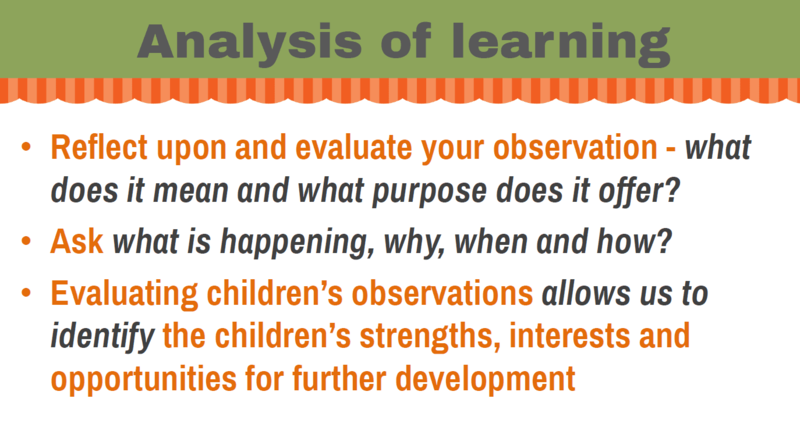 Include the answers to these questions wherever you analyse or reflect upon your child observations. It is not enough to just write an observation – this does not hold a whole lot of meaning unless you do something with that valuable information. 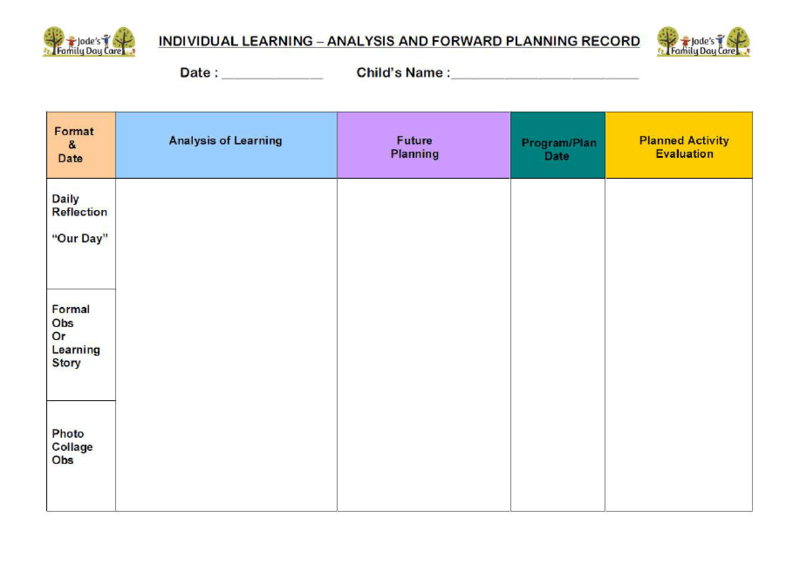 I use the ‘Analysis of Learning’ section on my forward planning form to record my observation reflections for each child ( as per the example below)But you can use whatever system you are comfortable with – as long as you are showing a clear record of thinking about and analysing the information you have collected. You don’t need to write as much as I have, a few lines is sufficient as long as you communicate effectively and what you write is meaningful to you as an educator. Don’t waste your own time – I see far too many educators making this mistake! I will be discussing how to extend learning from your observations, reflections and analysis in the next post in this series. After we have planned our extension activities, added them to our program and completed the experience it is still important to come back and reflect upon how that planned activity or experience went to then complete our planning cycle. I will be discussing this in more detail in the next article as this will cover extensions and forward planning but I’ve included a few reflection and review questions below that you might like to consider when you reach this step in the cycle. This should be a fairly brief step in your cycle – you just need to come back after the activity is completed and write a short summary taking into account some of the following prompts. Don’t forget to date your analysis! I add this information again to my Forward Planning Form in the relevant section you see below. This form keeps all my forward planning in the one place on the one form and shows continuity and progress. I encourage you to also form a system or template that meets your needs and cuts down on duplicate writing and record keeping. If you have purchased my Programming E-book you will have this template. You can easily set up your own in a simple word document though. Remember that a successful programming system is all about modifying to suit your own needs, strengths and individual style. 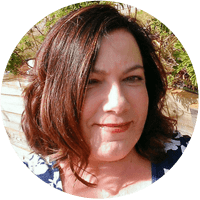 I like boxes and writing – you might not so find the style that suits you best rather than blindly grabbing the ‘next best template’ that your friend or co worker is using! If it doesn’t work well for you then it is pretty much useless because you won’t be able to stick with it or find your rhythm. It’s also important to regularly reflect on your program and actions as a whole. Some educators prefer to do this daily – I like to do it at the end of my programming week and include 2 short sections on my program template to cover this. This section is for my own personal growth and reflection and to challenge and support myself as an educator as I head into the next week. It helps me to identify any changes I might need to make to my environment or experiences I should consider including in my next weekly program. Sometimes I write a lot, sometimes I write a little. I include information about activities and experiences that worked and those that didn’t – then I reflect upon why that might be. I explore whether I feel I achieved my objectives or whether I still need to do more in a particular area. I write down information and reflections that I find helpful to inform my future practice, strategies and planning. You can do the same sort of thing in a daily reflection diary if you prefer – find your style and do what works best for you. 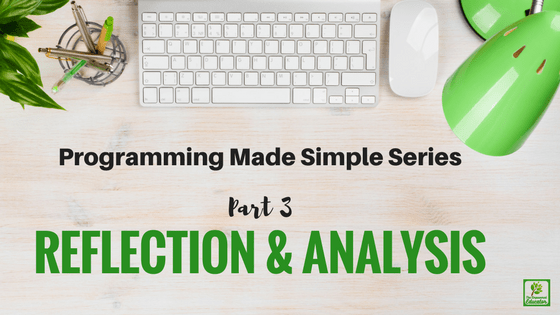 I hope this post has given you a better idea about how to use reflection and analysis in your programming and planning. As I mentioned above, the next post in this series will discuss the forward planning/extension part of the planning cycle in more detail. 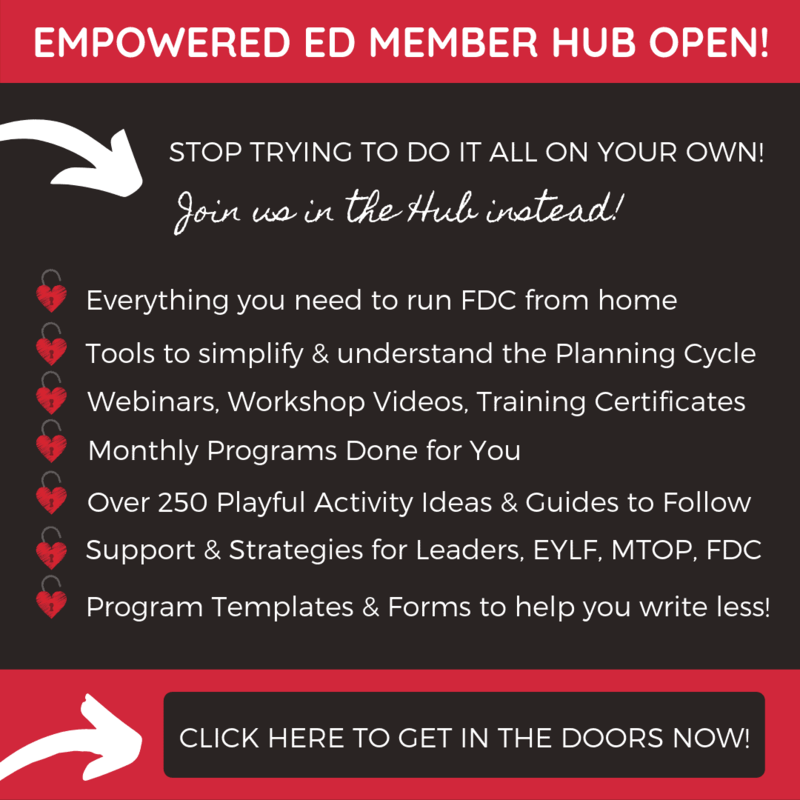 If you want to explore and discuss more ideas, support and inspiration why not join the Empowered Educator Community! Download the print friendly PDF factsheet of the information in this article to look back on later by clicking below. 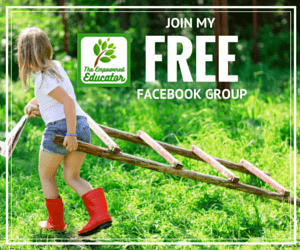 « Process V Product in Early Learning – Can we find a balance? Thanks for putting it so well together , i often get into a muddle but you have explained it do well. Thank you very much, your information is clear and help me clarify my doubts and improve my work.